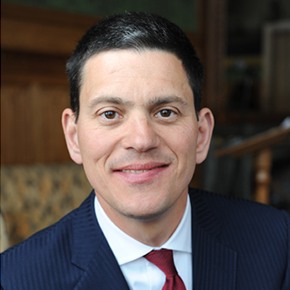 Mr Miliband joined the IRC in September 2013 after 12 years as a Member of the British Parliament. His first government post came in 2002 when he was appointed Minister for Schools. As Secretary of State for the Environment from 2006 to 2007, he pioneered the world¹s first legally binding bill to reduce greenhouse gas emissions. As Foreign Secretary from 2007 to 2010, he oversaw creation of a marine reserve around the Chagos Islands, which remains the world¹s biggest reserve where no commercial fishing is permitted.